WASHINGTON, Jan 7 2014 (IPS) - A few days ago, Bahraini officials announced that they had “foiled an attempt to smuggle explosives and arms, some made in Iran and Syria, into the country by boat.” Around the same time, the government also contended it had defused a car bomb and seized weapons in different locations in the country. The Al Khalifa regime maintains it is fighting terrorism, which it unabashedly equates with pro-reform activists. The regime accuses Iran of plotting and driving acts of “terrorism” on the island. Regardless of Iran’s perceived involvement in the smuggling of weapons, it is important to put this latest episode in context. If regimes are willing to tear their countries apart in order to stay in power, as the Al Khalifa ruling family seems to be doing, domestic terrorism is an assured outcome. 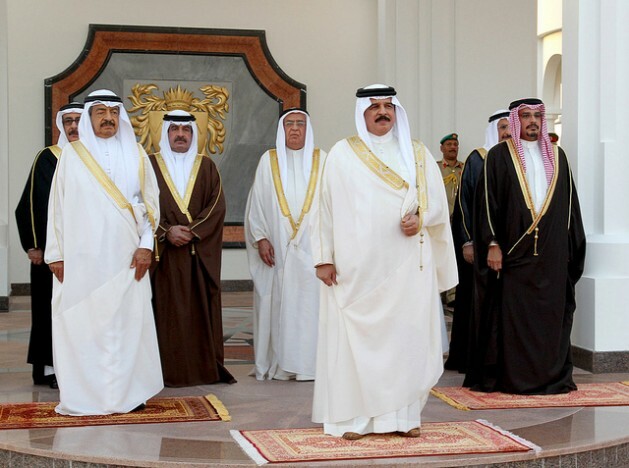 First, although Iran might benefit from continued instability in Bahrain, since Bahrain became independent in 1971, Iran has not engaged in any activity to remove the Sunni Al Khalifa from power. In 1970-71, the Shah of Iran accepted the United Nations’ special plebiscite in Bahrain, which resulted in granting the country independence. Successive Iranian governments under the Ayatollahs since the fall of the Shah have not questioned Bahrain’s independence. Furthermore, over the years most Bahraini Shia looked for Iraqi and other Arab, not Iranian, grand Ayatollahs as sources of emulation or marja’ taqlid. The Shia al-Wefaq political party, which some elements within Al Khalifa ruling family have accused of being a conduit for Iran, has consistently supported genuine reform through peaceful means. Al-Wefaq leaders, some of whom have studied and lived in Iran in recent decades, have endorsed the government’s call for dialogue with the opposition and have endorsed the Crown Prince’s initiative for reform and dialogue. Al Khalifa’s response to al-Wefaq’s peaceful position has been to arrest its two most prominent leaders, Sheikh Ali Salman and Khalil al-Marzooq. Second, regardless of the public relations campaign the Bahraini regime is waging against Iran, it continues its arrests and sham trials and convictions of Bahraini citizens. This includes doctors and health providers, young and old peaceful protesters, and more recently athletes. Their only “sin” is that they are members of the Shia majority in a country ruled by a Sunni minority regime. In a recent article, James Dorsey of Singapore’s S. Rajaratnam School of International Studies detailed the large number of Shia athletes, players and champions – soccer, handball, tennis, jiu-jitsu, gymnastics, beach volleyball, and car racing – who have been arrested and given lengthy jail sentences. Many of these players, who hail from Diraz and other neighbouring Shia villages, were hastily tried and convicted for expressing pro-reform views. Third, in a recent interview with the Kuwaiti newspaper al-Qabas, Professor M. Cherif Bassiouni, who headed the Bahrain Independent Commission of Inquiry (BICI), expressed his disappointment at the government’s failure to implement some of the key recommendations in the report. As a reminder, King Hamad had created BICI and formally and publicly received and accepted its final report. No one within the regime has been held accountable for the unlawful acts and crimes detailed in the BICI report. According to Bassiouni, the government’s inaction on the recommendation has raised serious doubts within “civil society institutions and human rights organisations” about the regime’s commitment to genuine reform. Fourth, the Bahraini regime, like its Saudi counterpart, is stoking a deadly sectarian war in the Gulf and elsewhere in the region. The ruling family is very concerned that should Iran conclude a deal with the international community on its nuclear programme, Al Khalifa would become marginalised as a Gulf player. The regime is particularly worried that as a small island country with miniscule oil production, Bahrain might become a marginal player in regional and international politics. It behooves the Al Khalifa regime to know that if it fails to work with its people to bring stability to the country, it would lose its standing in Washington and other Western capitals. As the Bahraini majority loses confidence in the regime, it would not be unthinkable for Saudi Arabia and other regional and international powers, including the United States, to consider Al Khalifa a liability. The key mission of the Bahrain-based U.S Fifth Fleet is not to protect the repressive Al Khalifa regime. It serves regional stability, strategic waterways, and other global U.S. interests. Its commitment to Al Khalifa or to the Bahrain port is neither central nor irrevocable. As the Bahraini regime continues its campaign against Iran, it should remember that by refusing to engage the largely peaceful opposition for meaningful reform, it has created an environment for Sunni extremism and anti-Shia radicalism. The recent history of intolerant religious proselytisation instructs us that such an environment invariably leads to terrorism. This is a domestic phenomenon regardless of whether the intercepted arms came from Iran or not. One also should recognise that growing frustration among dissidents would drive some of the youth to become more radicalised and turn to violence. If regimes are willing to tear their countries apart in order to stay in power, as the Al Khalifa ruling family seems to be doing, domestic terrorism is an assured outcome. Today, we see this phenomenon in Syria, Iraq, and elsewhere. The Islamic State in Syria and the Levant (ISIL) did not emerge in a vacuum. Radical, intolerant, Sunni jihadism, which Bahrain and Saudi Arabia have been pushing in Syria, and before that in Iraq, is the kernel from which terrorism sprouts. Eventually it would come home to roost. As I wrote previously, the Al Khalifa regime’s survival remains possible only if the ruling family stops playing its repressive apartheid game and engages its people with an eye toward power sharing and genuine reform. King Hamad still has an opportunity to implement the BICI recommendations comprehensively and transparently. He could assemble a group of distinguished Bahrainis, Sunni and Shia, and task them with writing a new constitution that would include a nationally elected parliament with full legislative powers and checks and balances over the executive branch. This should be done soon because the King and the ruling family are running out of time.